"I can't give up ... I just can't." 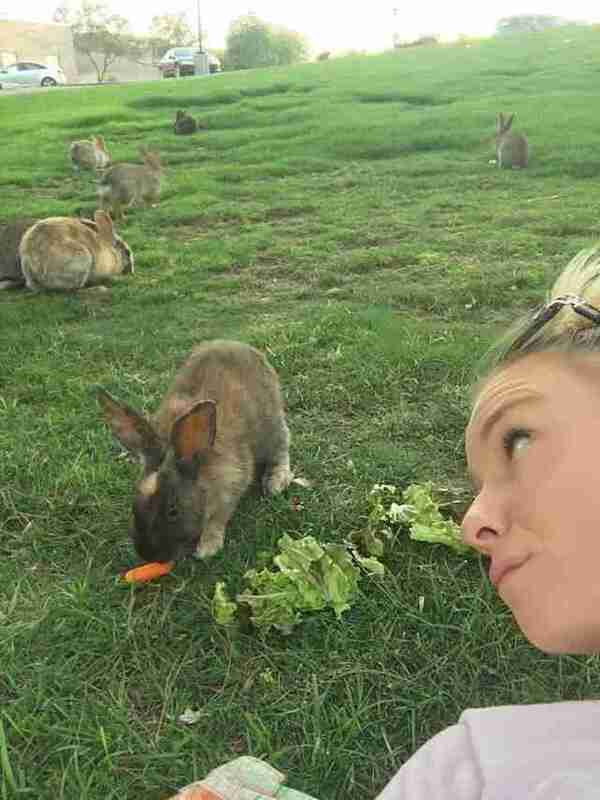 Stacey Taylor had never seen so many rabbits in one place. 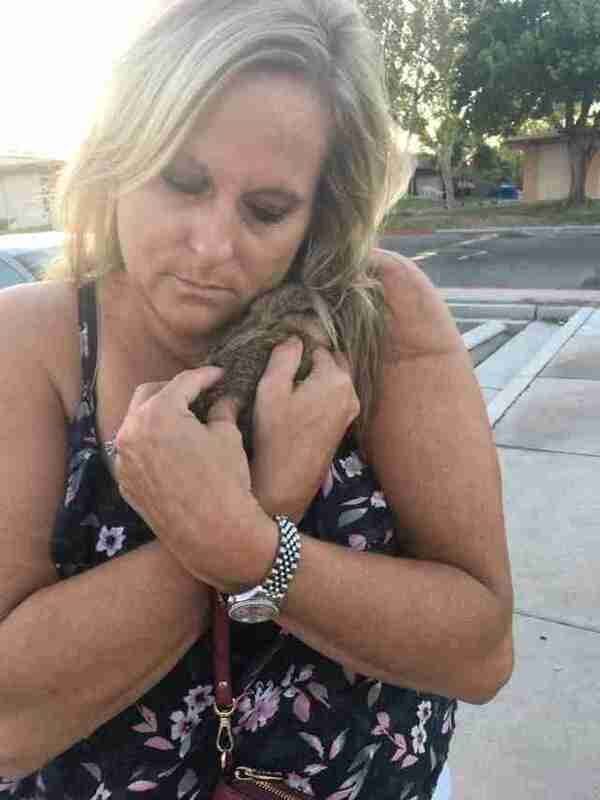 Four years ago, she and her son were driving past a mental health facility in Las Vegas when they spotted about a hundred rabbits hopping on the lawn. When Taylor and her son explored the rest of the grounds around the facility, they found even more. 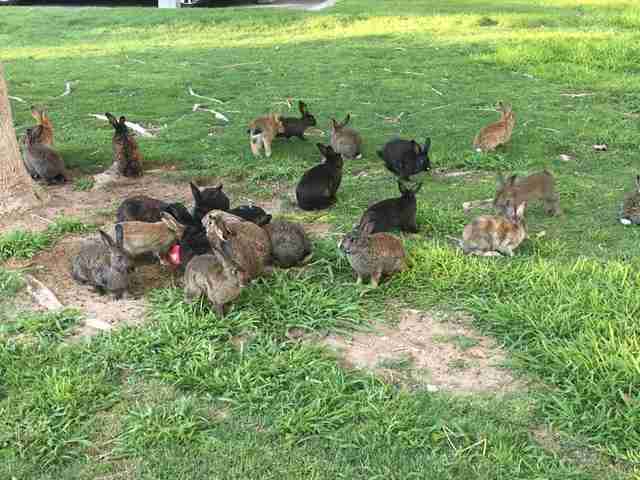 In fact, Taylor counted close to 1,200 rabbits. But Taylor’s interest was piqued — she started asking around about the rabbits, and she did some research on the mental health facility, which Taylor says is owned by the state of Nevada. 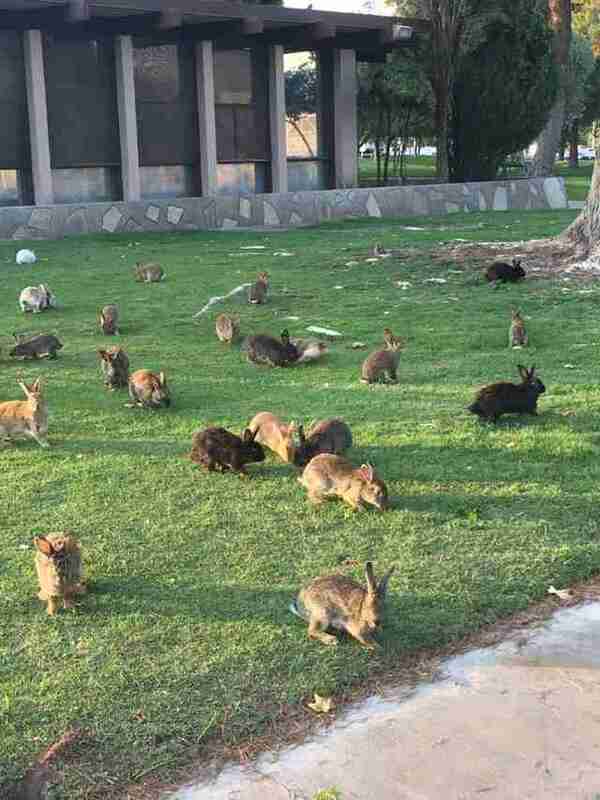 If this story’s true, several dozen rabbits quickly turned into several hundred. 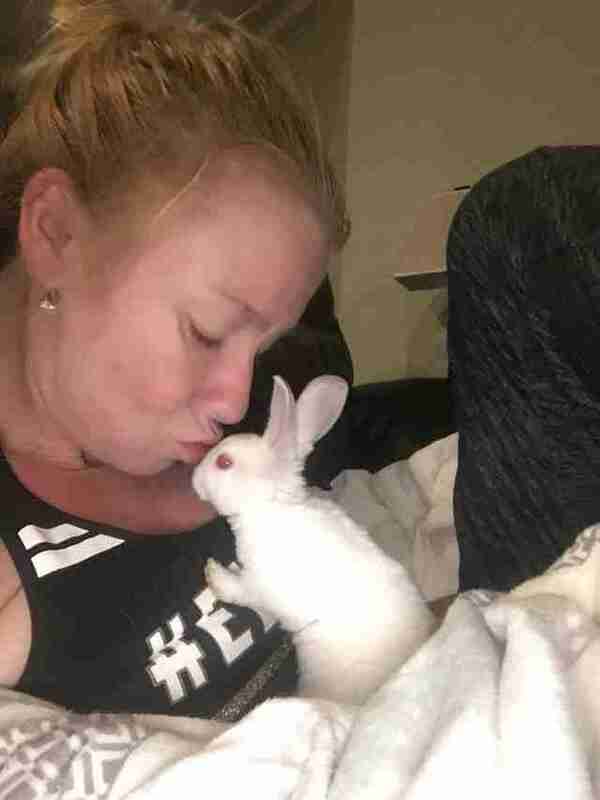 Taylor also believes that people use the facility as a dumping ground for their unwanted pet rabbits, which has exploded the population even more. 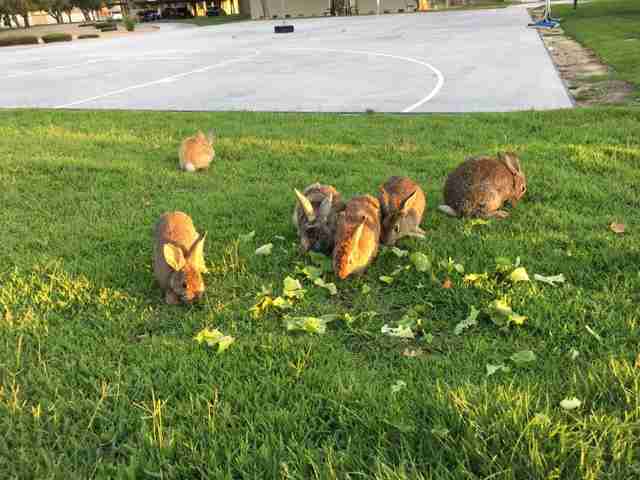 Yet no one seemed to be caring for these domestic rabbits, who are a completely different species from their wild cousins, and often can’t survive in the wild. They didn’t have access to shelter or water, and their only food was grass and the occasional handout from passersby. Taylor knew she wanted to help, but when she reached out to local rescue organizations, few of them had the resources to take on such a big project. So Taylor decided to start rescuing them herself, founding a group called Bunnies Matter in Vegas Too, which she runs with her friend, Dave Schweiger. “If I can just go and pick the rabbit up, then we know the rabbit isn’t safe there,” Taylor said. 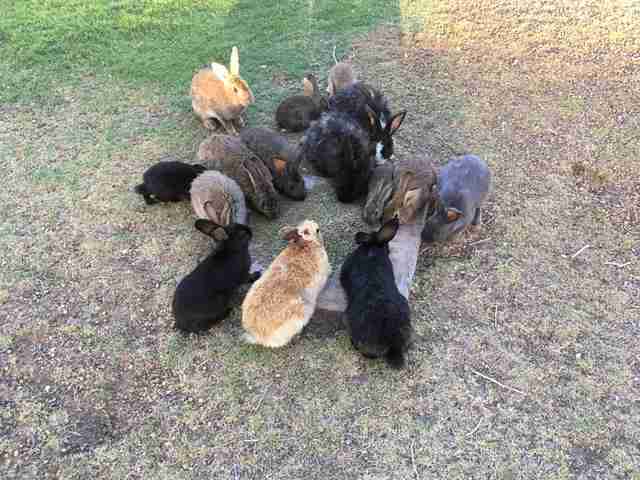 Taylor takes each rabbit to the vet to get them spayed or neutered and treated for parasites. Taylor houses as many as she can at her own home, but she also relies on a network of foster homes to keep the others. Even so, there’s never enough room for them all. But Taylor hasn’t turned her back on the rest. She and Schweiger go out twice a day to give the rabbits pellets, fresh vegetables and hay, and to refill their water bowls. Still, she worries about how she can protect the rabbits from people with cruel intentions. 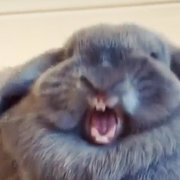 To help the remaining rabbits, Taylor has considered running a trap, neuter and release program to curb the population — but unfortunately, she learned that she’d be charged with dumping herself if she released rabbits back into the area. “It’s kind of like this big circle that never ends, because we can’t fix them, and they just keep breeding, and they can have litters every 30 days,” Taylor said. Despite the major challenges, Taylor will not — and cannot — turn her back on these rabbits. Over the last four years, she’s rescued over 200 and rehomed about 150, and she intends to keep going. 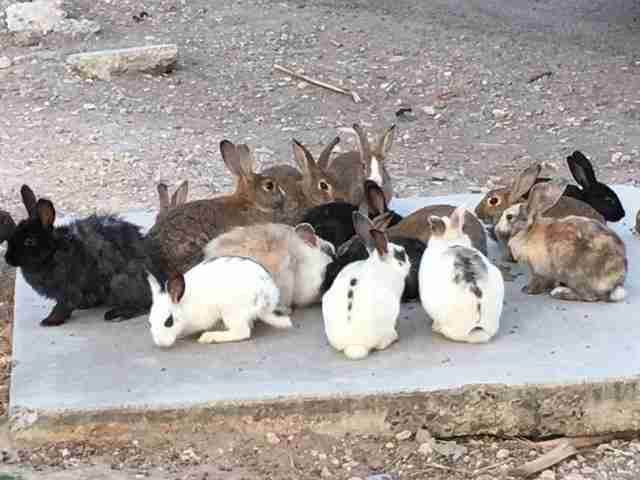 To help rescue more bunnies in Las Vegas and get them the homes that they deserve, you can make a donation. Another way to help is to foster or adopt — if you’re interested, get in touch with Bunnies Matter in Vegas Too.